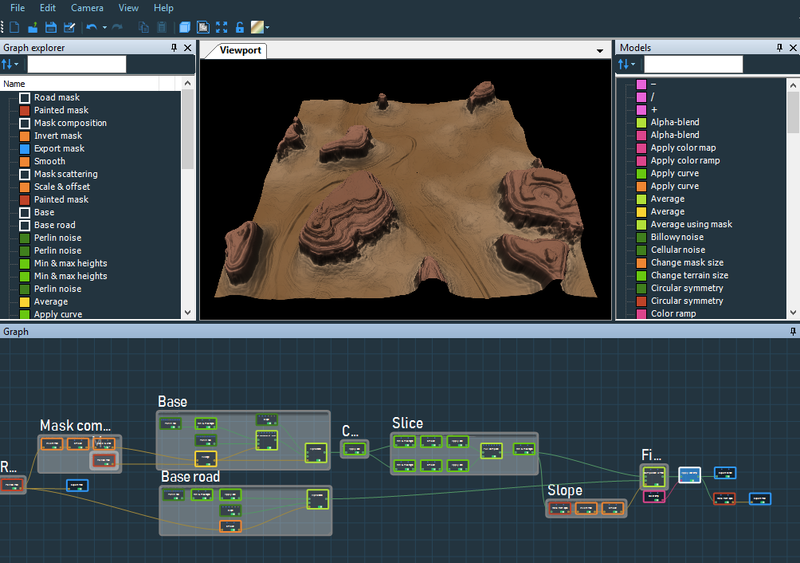 This documentation is where you will find how to use Instant Terra to create 3D terrains either from scratch using Instant Terra's node-based interface to build them, or import your own terrain and work from it. Find out what's new in Instant Terra v1.5. Start by working through the Getting Started section and learn about Instant Terra, how to install it, buy a license, and access our Forum. Work through our the Getting started tutorial and become familiar with the Instant Terra interface and create your first terrain. We have included some workflows for our new features to help you learn how they work. Read the Interface guide and the Nodes reference guide to learn about what Instant Terra's different nodes can do. Use Components and component libraries to create new nodes with their parameters to use in your current project and other projects. Use our terrain examples to start playing with node parameters and see the results in real time. Learn how to import your terrains into Unreal Engine. We have listed some known issues for your information.